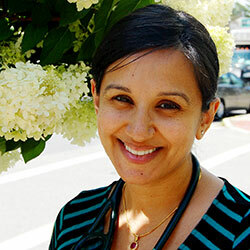 Eshita Bakshi, DO is a board certified pediatrician and a fellow of the American Academy of Pediatrics with hospital privileges at Boston Children’s Hospital and Emerson Hospital. She obtained her medical degree from the University of New England College of Osteopathic Medicine in Biddeford, ME. She completed her Pediatrics Residency at the San Antonio Uniformed Services Health Education Consortium in Texas. Prior to being recruited to join Dr. Aisling Gaughan’s practice in August 2013, Dr. Bakshi served as a Pediatrician in the United States Army in Germany from 2008-2012 with a deployment to Afghanistan in 2009. Her love of pediatrics stems from the ability to incorporate the health of a child with teaching families what to expect over the years as their children grow. She cherishes the privilege of watching her patients grow from one visit to the next – a privilege given to her by the families who have placed their trust in her. She works hard, and loves every minute of it, to maintain that trust and establish a relationship not only with her patients, but with their families. Dr. Bakshi had a very rewarding breastfeeding experience with her two sons and this sparked her passion for integrating newborn care and supporting other breastfeeding mothers in the hopes that they, too, may have a satisfying experience. She has become a certified lactation counselor and looks forward to incorporating breastfeeding medicine into her care of newborns and their mothers. She is active in the Concord community where she is the consulting physician at Fenn School, and is looking forward to sponsoring future events benefiting families from Concord and nearby towns. In her spare time, Dr. Bakshi enjoys traveling and exploring new cultures with her family, which consists of her two sons and her husband.